Eliminates gray /& enhances facial hair. Reinforces your natural color and gives your facial hair a more consistent, balanced and fuller look. Easy brush in. Specially designed brush makes application simple. Gray is gone in 5 minutes. Formulated for facial hair. 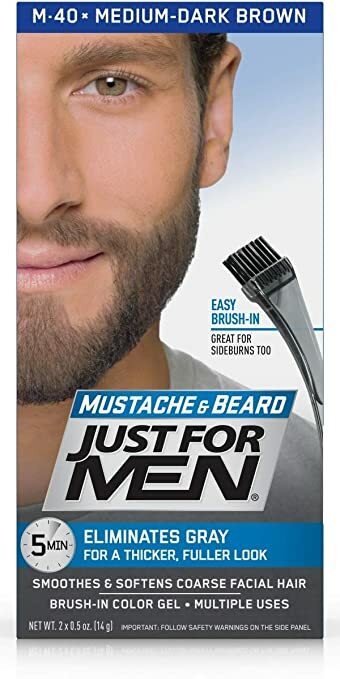 Penetrates coarse, resistant facial hair. No-drip thick gel conditions and softens as it colors.